Click the excerpt to continue reading this month’s prayer letter. 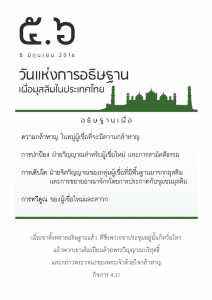 The annual Day of Prayer for Muslims in Thailand is June 5. 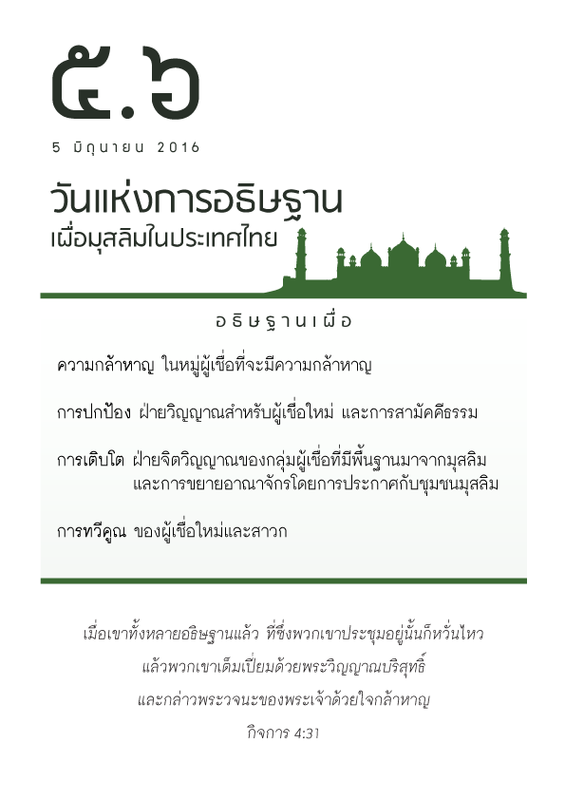 Some prayer requests are on the prayer card below, both in Thai and English. 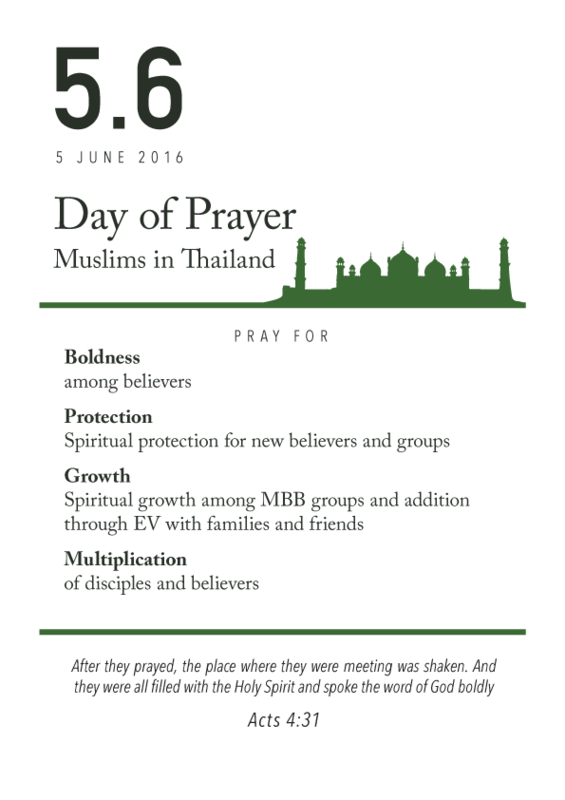 Please feel free to send, print, and post this prayer card to mobilize more prayer!